"In The Splendor Of Your Courts"... our friends love your songs. They're simple to learn with a great message. God bless you and all the work you do." seminars at Crossroads. Among the topics covered were "Abba Father"
"Grace, Faith and Focus" and "Silence, Solitude and Prayer". 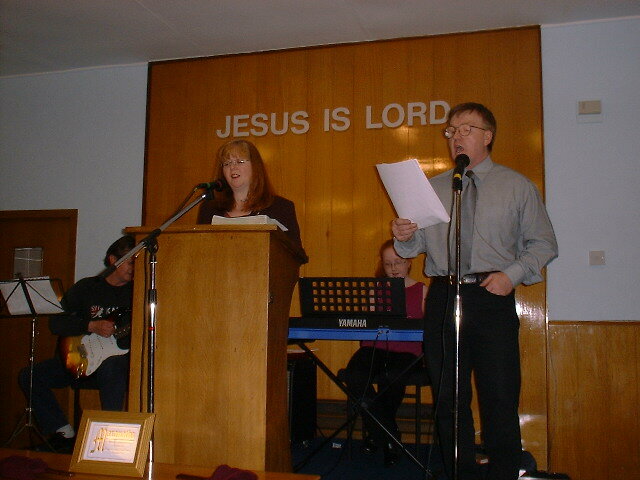 their church's weekly radio program. They also used "Heavens and Earth" for these programs.